Philips is recognized as one of the world’s most innovative companies. What does this mean for you? 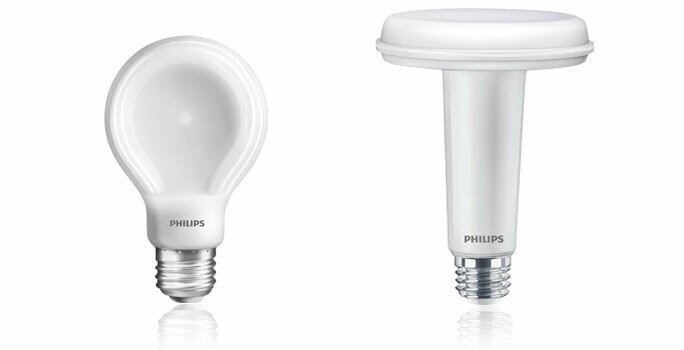 Their new LED bulb technology now delivers warm, dimmable light in a traditional size and new SlimStyle sizes. Designed to be used in table and floor lamps, wall sconces, pendant lighting and recessed ceiling fixtures, their innovative shape provides energy efficiency and quality light in a durable shape. Philips SlimStyle A19 LED bulbs are the same size as traditional A19s but in an innovative slim design ideal for table, pendant and sconce fixtures. This 10.5W bulb can replace a 60W incandescent and delivers quality light all-around. Also available in 7W. 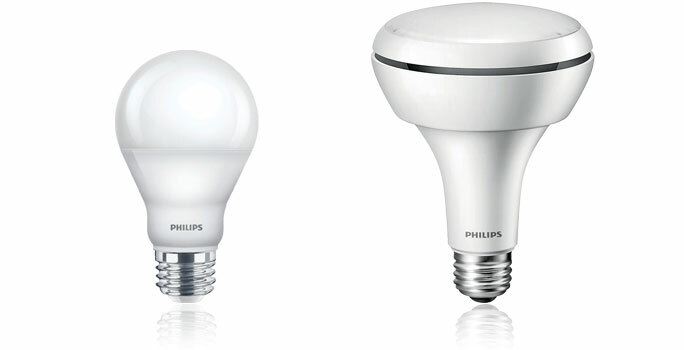 The new Philips LED BR30 offers a new experience for dimmable LEDs. As the light is dimmed, the color temperature for these lamps is reduced which creates a warm glow similar to a candle.